We took inspiration from the changing seasons of the beautiful New Forest to create fantastic textiles developing our sewing skills. Each phase focused on a different season. In Year R children explored Winter in the New Forest. They used photographs to inspire their designs creating a detailed plan. The children enjoyed choosing from a range of fabrics and accurately cut shapes combining colours and textures to create a Winter scene. In Year 1 and 2 the children focused on Autumn in the Forest using tones of red, orange, yellow and brown to create a fantastic textiles. 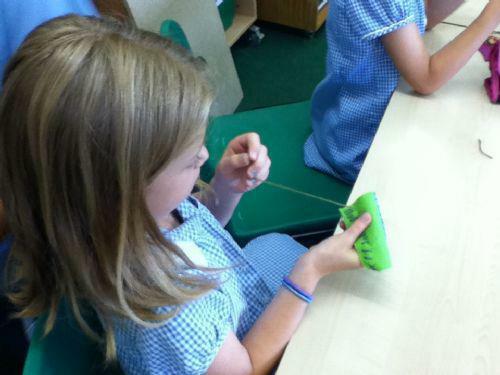 The children over came the challenge of threading the needle and developed their skills using running stich and threaded running stich to create a range of different shapes. 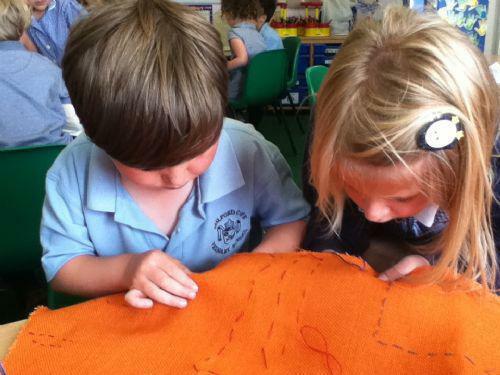 Children in Year 1 and 2 enjoyed practising running stich, using hessian fabrics. 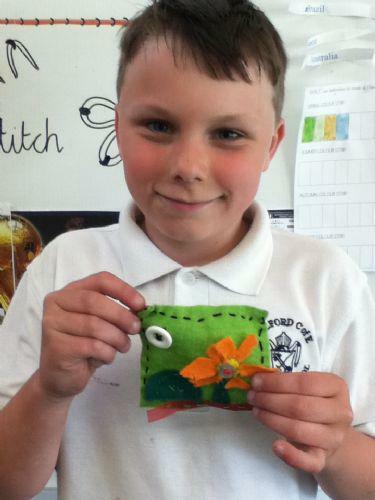 Each child created their own small textile using the stitching techniques they practised. 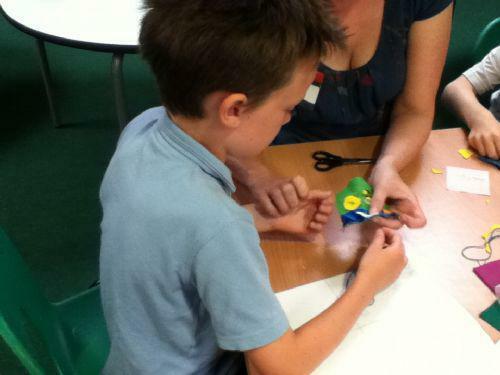 The children used buttons, beads and sequins to embellish their designs. 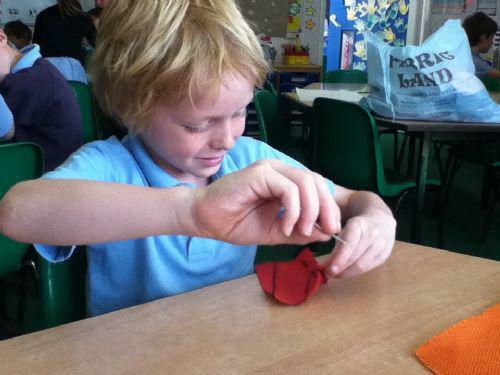 Year 3 and 4 were inspired by Summer in the New Forest. 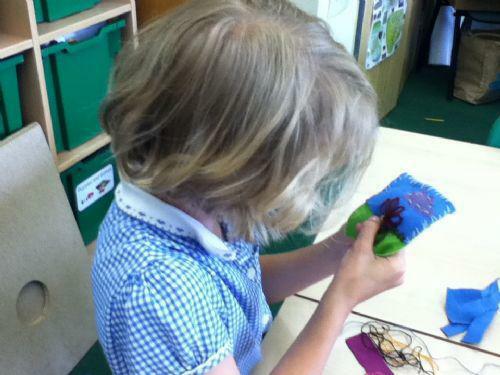 The children used photographs to inspire their designs. 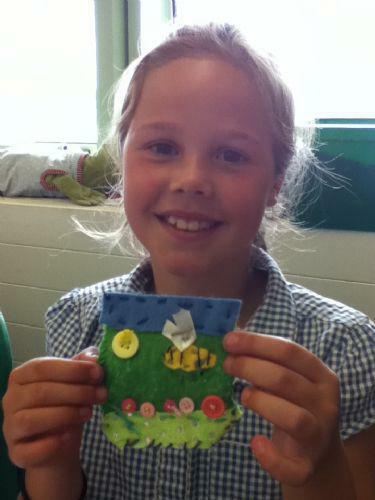 First the children created a sampler using a range of stiches including cross stich, blanket stich and lazy daisy stitch. 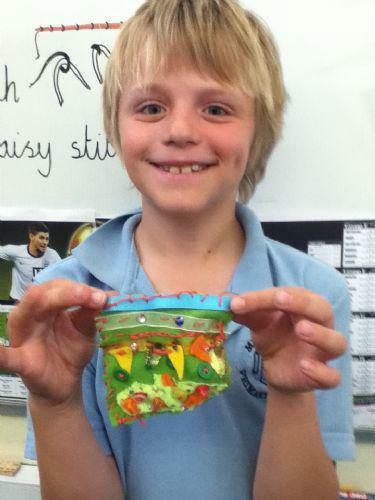 They sketched their design and choose from a range of fabrics, threads and buttons to create their final piece. In Year 5 and 6 the children focused on Spring in the Forest exploring the flowers and animals around at this time of the year. The children started with a sampler and developed some more advanced stiches including feather stich, chain stich and knotted stiches. They used this to help them plan their final design and chose fabrics to create texture. 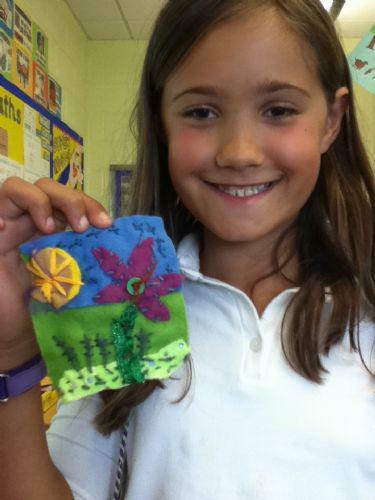 Finally the children finished their textiles using couching, stiches and buttons to add embellishments. We all had a great week and learnt a lot of new skills!